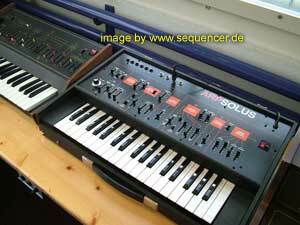 ARP alias Alan R. Pearlman • formerly/alternatively called Tonus Inc.
• The second best known synth company in the early 70ies. Alan R.Pearlman founded the Tonus Inc in the US and later changed to ARP. 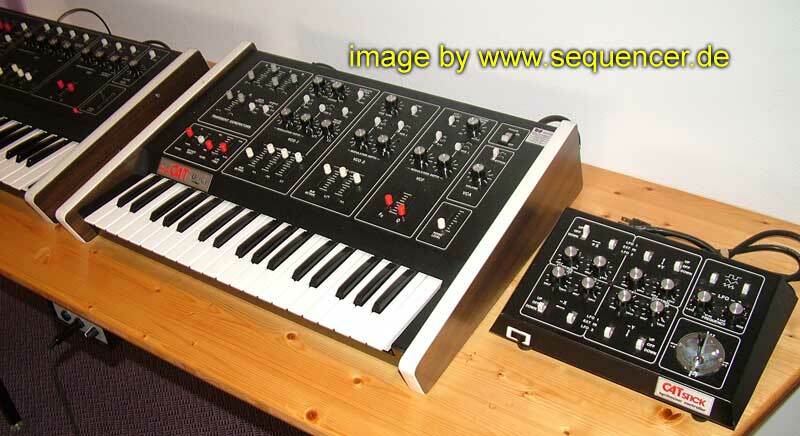 they where the big ones beside Moog until the polyphonic synths came. 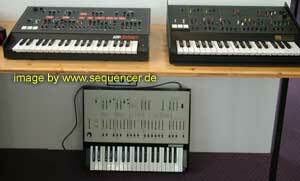 the Odyssey and ARP2600 were a good addition to the Moogs and sounded less "typical moog". 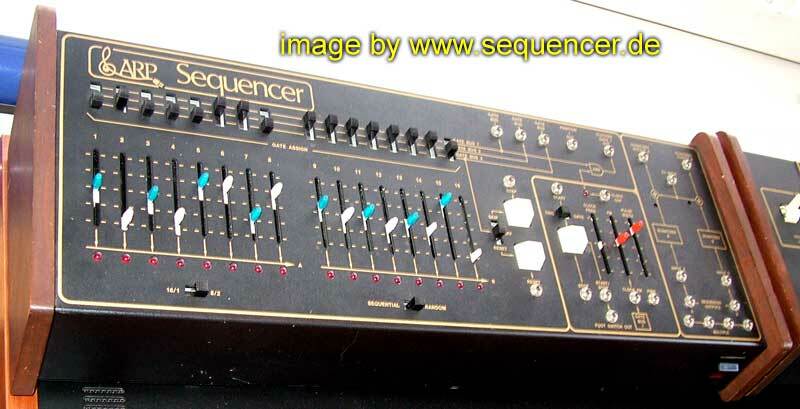 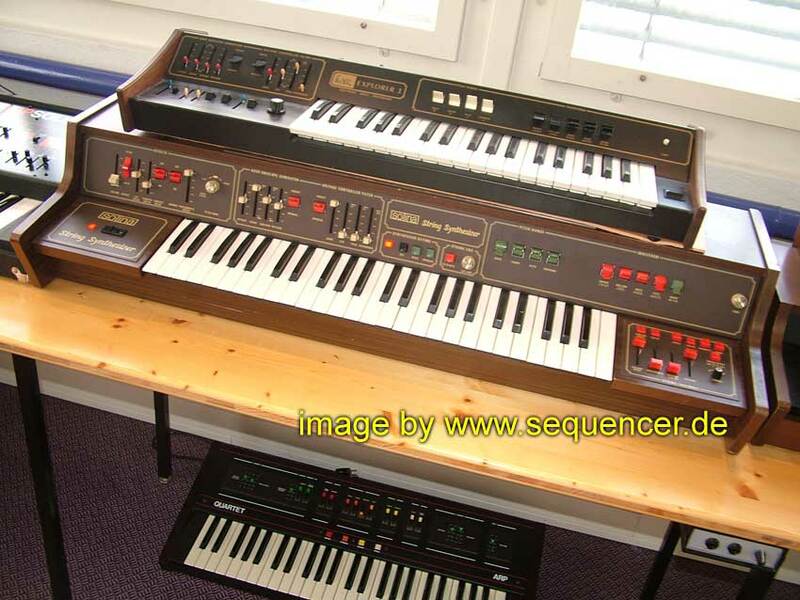 After the hard struggle making a guitar synth (the avatar sold about 300 times) they changed to a very innovative new synth, the Chroma but closed their doors in the early/mid 80ies and sold it to CBS (which was sold to Rhodes/Fender). 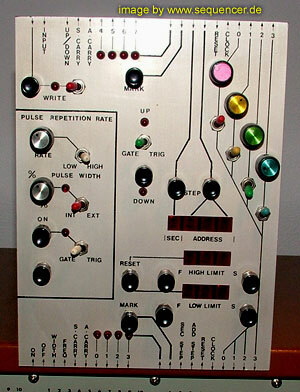 ARP Trigger info: gate pulse in/out 8-10V GROUND to positive. 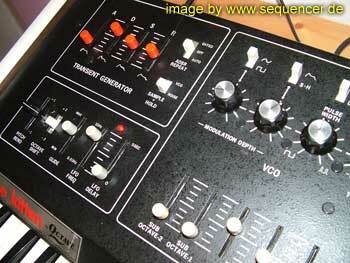 EDP gate pulse out: 'S-Trig' (like moog and some korgs) and 9V GROUND to positive. 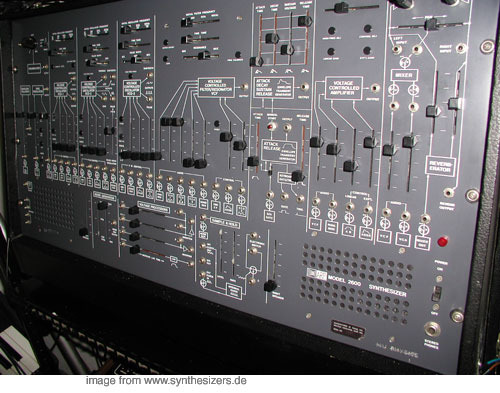 • 14 ARP synths found in database (order by: synth name). 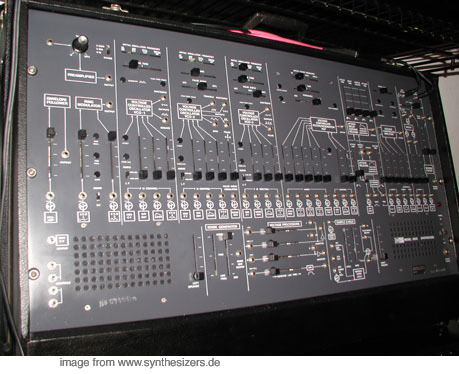 ARP Synth overview / überblick..
the rest can be done by a special bus system..
if you set the bus to the same number they are on the same bus and can be routed together that way or modulate.. This unit is one of a kind. if you use the bus system you can have FM quite easily..
if you cannot play mp4 (too lazy to install the best player for all platforms) use this: movie here (18MB),avi..
the 2500s S/H and VCO (dual) module..
most pics can be enlarged..
just click on the images..
below: instead of patchcords use the matrix! 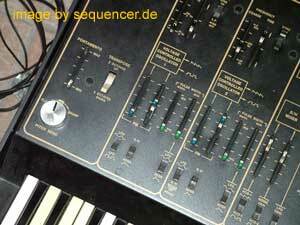 3 lines for analog sequencing..
it can also trigger the Envelopes. 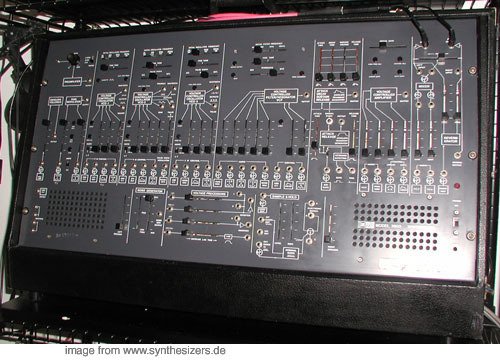 .. anyway the ARP 2600 modules are encapsulated and can not be opened by anyone, but there are ppl able to to so like achim lenzgen from synthesizer service, germany / namedy. 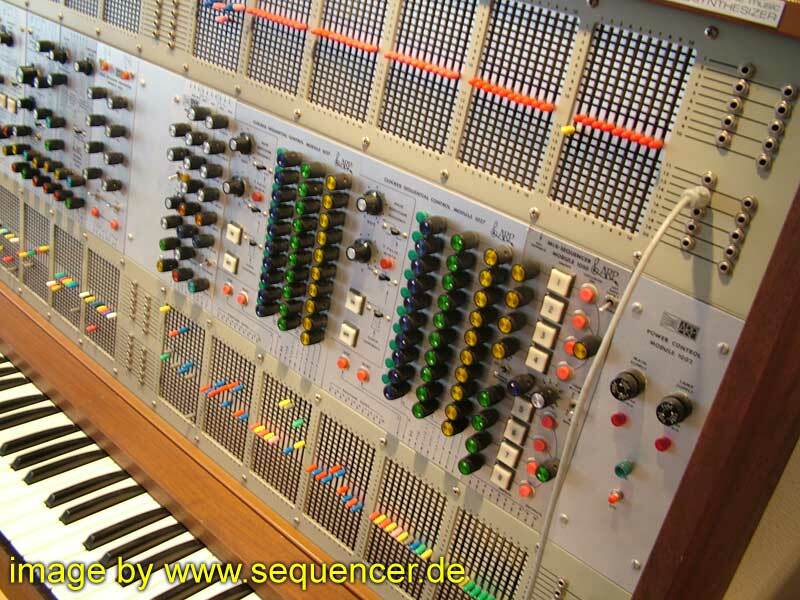 I'd strongly assume those modules are encapsulated like this because ARP "lended" the moog filter cascade, anyway it sounds a bit more "uncoloured" or less "typical moog" - some ppl say it is more "acoustic" in a way.. it's hard to tell - in words!.. 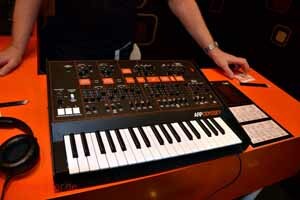 ARP benötigt zum Auslösen des ADSR-ENV einen Triggerimpuls (kurzer Nadelimpuls 15 V), der den Hüllkurvenvorgang startet und einen Gate-Impuls (10 V), der letzendlich für die Dauer der Einschwingphase (Attack) und der primären Ausschwingphase (Decay) verantwortlich zeichnet. 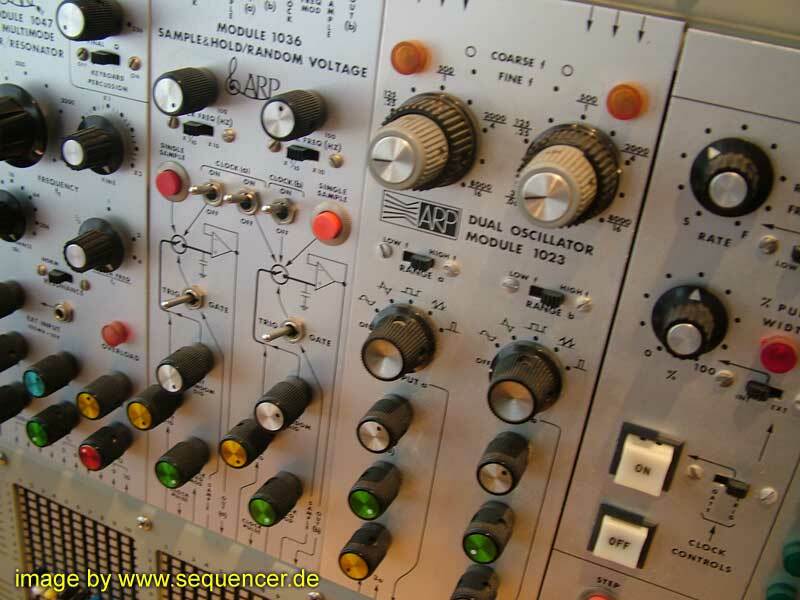 Nach Ablauf der Attack -und Decay-Zeiten bleibt der Hüllkurvengenerator auf dem eingestellten Sustainwert für die Dauer des anliegenden Gates, danach gehts mit Release "abwärts". 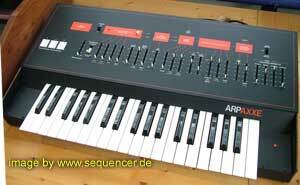 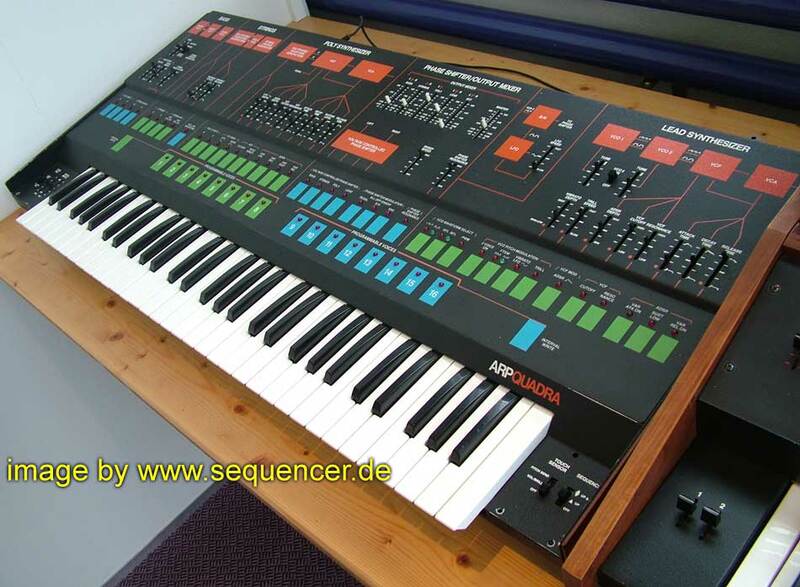 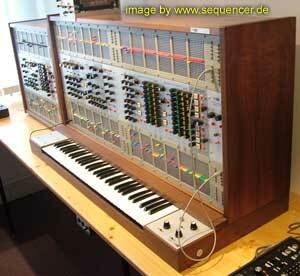 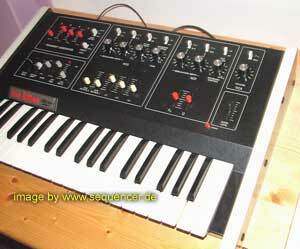 is also an ARP product but as you can see ARP died before but the Chroma has been released by rhodes!!.. 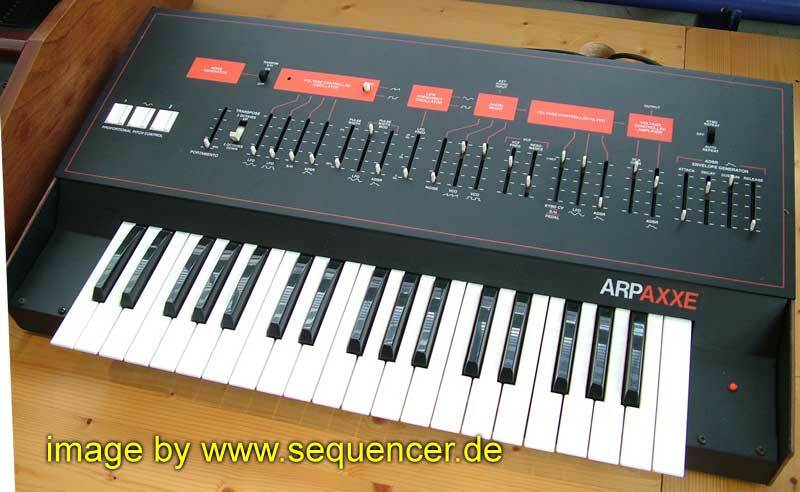 ARP made about 300 Avatars, it's the "guitar synth" version of the odyssey and is more close to the 2600 (so does the odyssey) than you might think of.. it is the same features as ody. 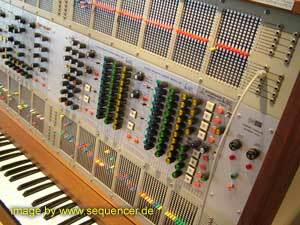 but it has more jacks for modular access. 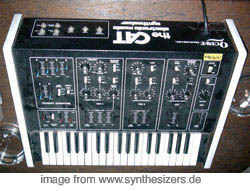 in fact you can simply add those to you odyssey,too! 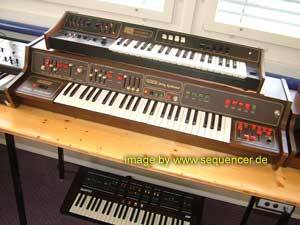 the Avatar is a good transition product between the 2600 and the 2800 (odyssey)..
it was cheap and has 16 steps.. quite a lot at that time for that money compared to a moog 960 .. DAF did a lot with this one..
the faders on all arp synths are a bit "rough"..
DAF and Conny Plank (known for producing Can,Kraftwerk, DAF etc.. in Düsseldorf/germany) used it (with a korg MS20) .. it has fast envelopes and was some sort of competition for the minimoog.. it had indeed more features than the mini. 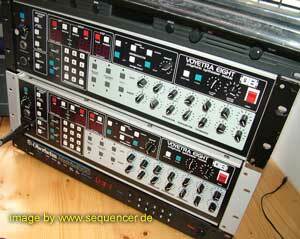 there have been versions with 12dB/oct LP-filters, later versions were equipped with 24dB/oct filters!! 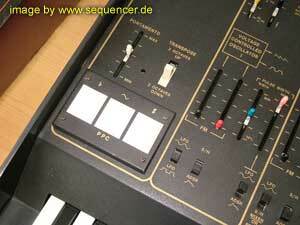 also the color has changed (white and black). 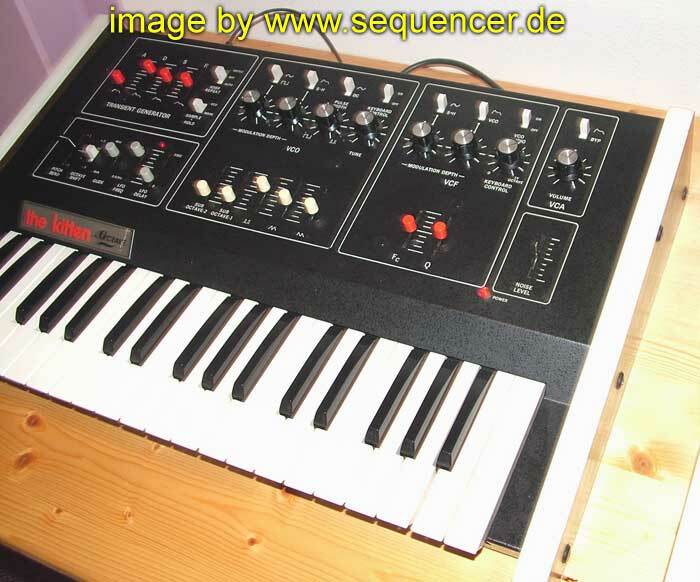 also the tune potentiometer is only one option: other versions had 3 white "proportional switches" 2 OSCs and an LFO, S/h (lag time but no sample time slider as on the roland sh5) also a non VC-able HPF is there like on some rolands. click on the images to enlarge them!!.. 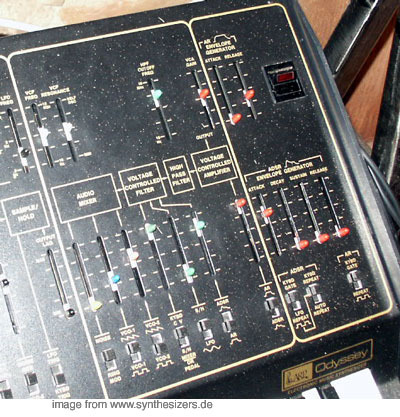 the first version odyssey I was 12dB/oct, white and "golden" versions, after that also "golden"/black was the 2810 (odyssey II) first with pitch knob, later with propotional control pitch like the one here on the pic on the right, the later III model was equipped with 24dB/oct LPF and golden/black design, later models known as odyssey III were black with orange letters. 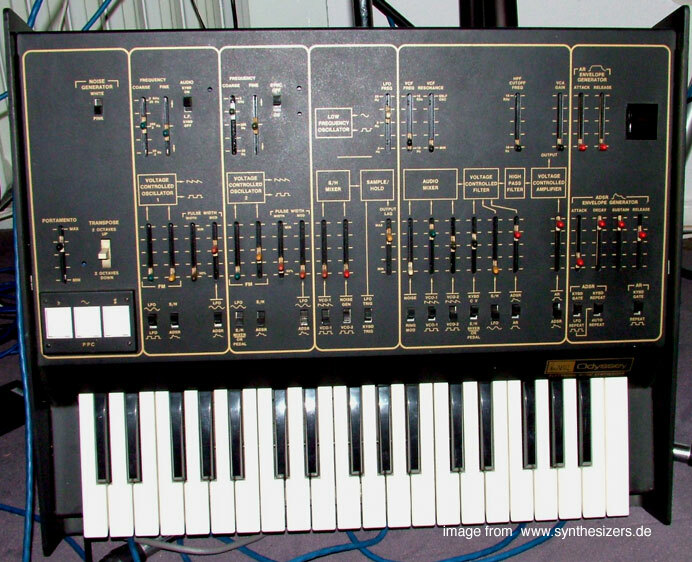 ARP had internal numbers for the odyssey series since the filter module changed and the proportional control and pitch knob..
the ARP odyssey II with pitch knob looks like this..
also good for percussive sounds..
want to mod your "ody"? 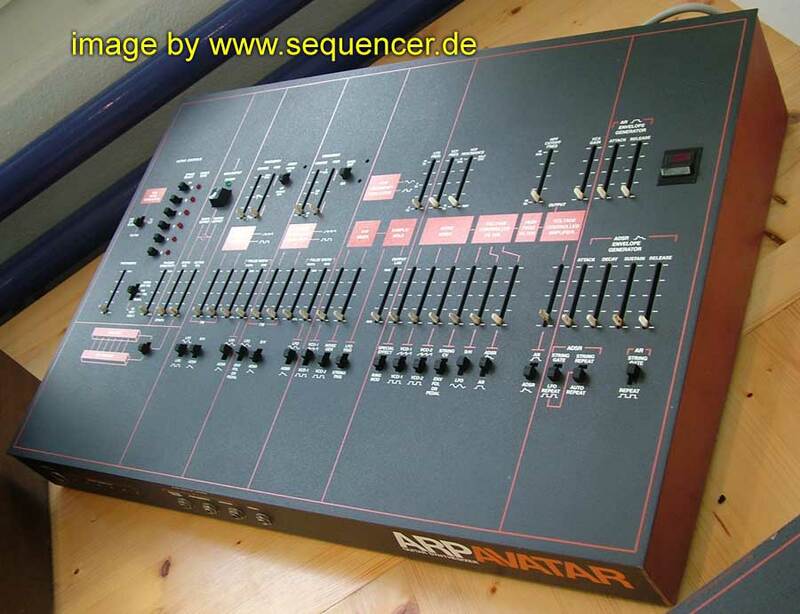 also the avatar can be modified, it is very close to the 2600 and odyssey.. maybe underestimated..
CMS offers a modification (same for the avatar, which is in fact an odyessey without keyboard): there are a lot of mods possible with the ody/avatar , even for DIY: accellerate/slow down speed of the lfo, speed up the envelope, add inverted envelope (it's already there!! you only need a switch to route it), filter mod (3 resistors and one condensator to change here.. to widen the filter freq range), bridge the hpf or reduce it's bypassed "bass killing" effect, and more waveforms to route (cms also offers to convert some waveforms and adds a 12dB/oct filter!). 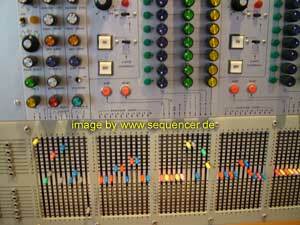 and all modularized by adding nice jacks for outside communication. 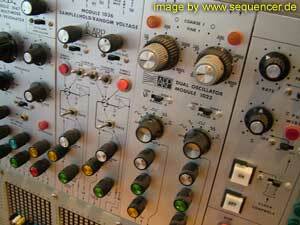 if you are in love with your soldering iron, it can be done in 1hour. 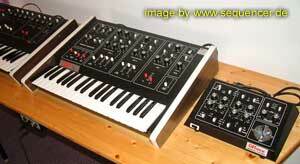 but there is CMS, if you don't dare to to that yourself. 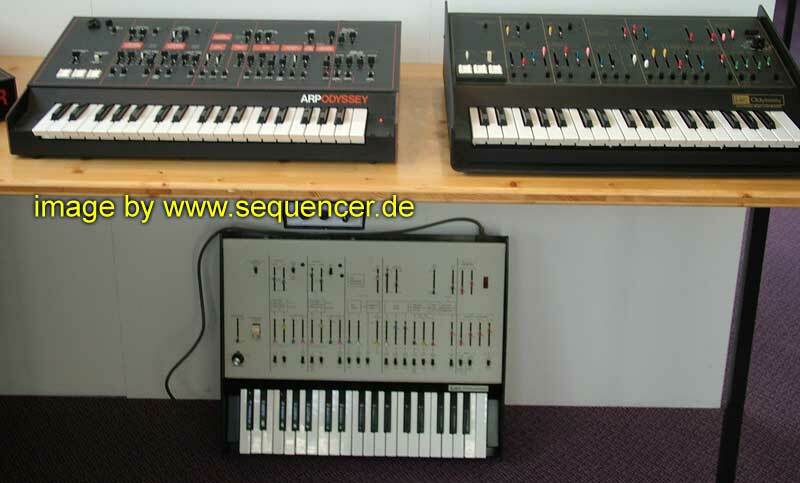 are both smaller one-osc versions of the Odyssey..
there are 2 versions (as always with arp): the golden and the orange/red on black..
Solus: 2 VCOs with PWM by LFO, 1 LFO and 24dB/oct LPF filter, one ADSR env. nothing special but possibly an alternative choice..
quadra: some "all in one" synth with string section.. from todays view more "exotic".. the synth section is not really "sophisticated" has mono bass synth, duophonic lead synth and poly string, one ADSR & 24dB/oct LPF..
the ARP Pro DGX Series..
pro dgx: 1 VCO, 1 LFO, nothing special..
omni: 4pole lpf, lfo, "waves" are violin, cello,..
a lot of good string synths came from italy, another one came from the netherlands.. some where simply bought from more known companies..
this is NOT an ARP product but imo it was best to place it here.. 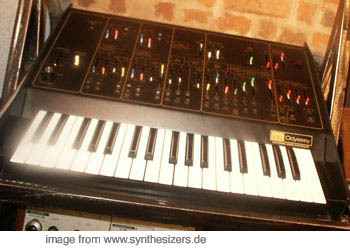 Octave..
what? it's about the same as the odyssey II / III, but it has 2 (two) suboscillators and you could blend those waveforms (instead of just switching like on the odyssey).. so it may still be a good alternative.. with the so called SRM update it could be played "duophonic"..
so see this as an alternative choice.. there has been a smaller version "the kitten" with just one VCO but both were forced to stop production. 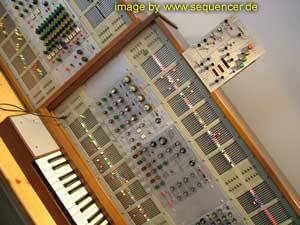 copyright reasons..
most of them can be enlarged.. click on them! 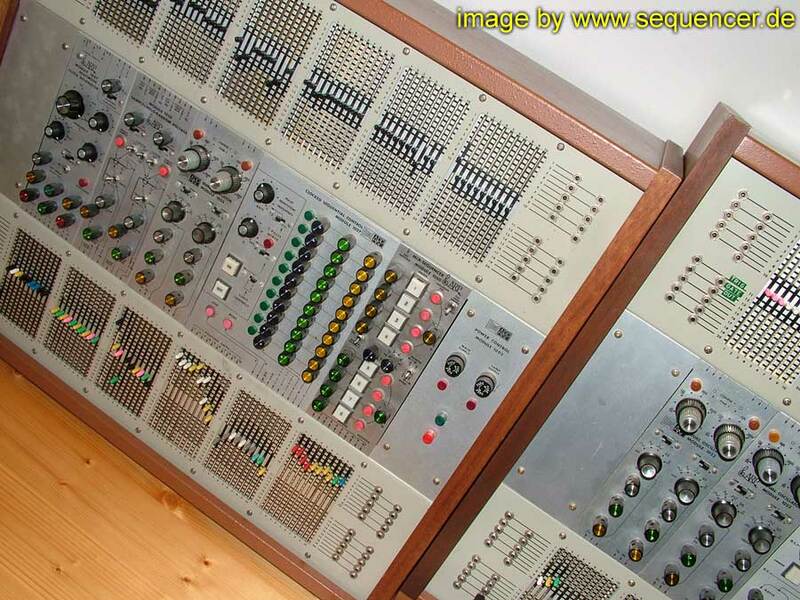 more about Octave'S founder and inventor Carmine Bonanno. 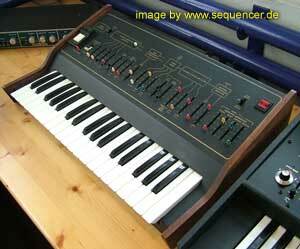 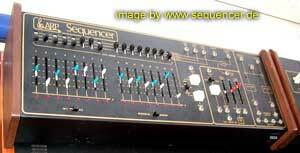 us-made quite exotic analog synth with digital memory..
there was a voyetra one also,but monophonic.